We’ve seen plenty of photos of the new 2019 Porsche 911 (also known by its internal designation code, the Porsche 992) mule running around, but these appear to be the official press photos of the car, leaked ahead of the official debut at the Los Angeles Auto Show next week. The photo above, sent to us by a tipster who saw them in a private forum, appears to show the rear of the new Carrera 4S. 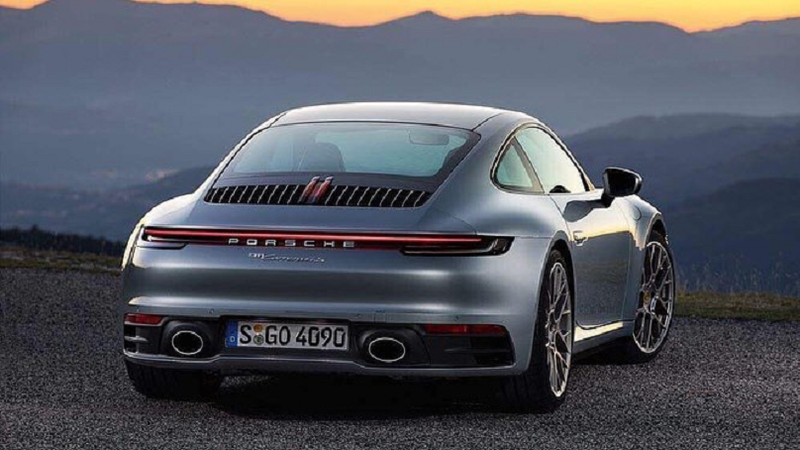 Only eagle-eyes Porschephiles will be able to spot the difference between this car and the last one beyond the slight change in the shape of its tail lights. Unfortunately, the photos are pretty low-res, but you can still see the general details of the car. I’m just glad to have a photo of it without the stupid tape covering the back logo. Anyway, while we don’t have the new 911's official specifications yet, you can count on the engine being in the back. And it’ll probably be turbocharged. Hopefully there will still be a manual option. And there will be approximately a thousand different versions of it to come. Check back here next week for our complete LA Auto Show coverage.